In the case of urgent need of equipment operation, because the imported parts have a long cycle, we can adopt a method to deal with it: using the grinding drill for dental science and technology, carefully grinding the ignition marks on the joints with small grinding wheels, cleaning and drying, covering the grinded surface with 502 glue for several layers, and then drying as normal. The installation of 5m 90kvdc high voltage cable requires installation, and the treated 5m 90kvdc high voltage cable is fully qualified for normal work. 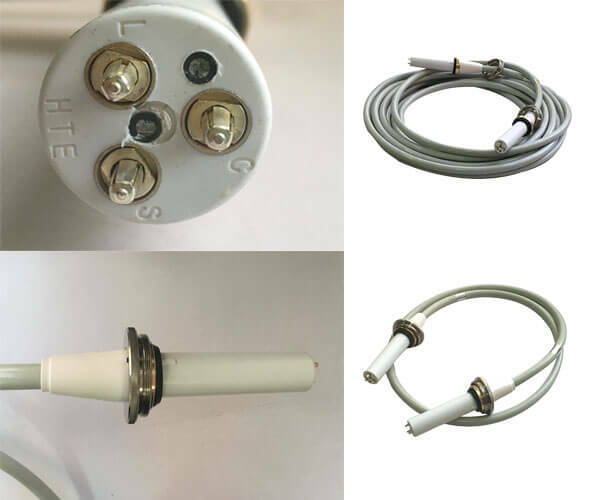 What are the characteristics of the high voltage cable 2m connectors?